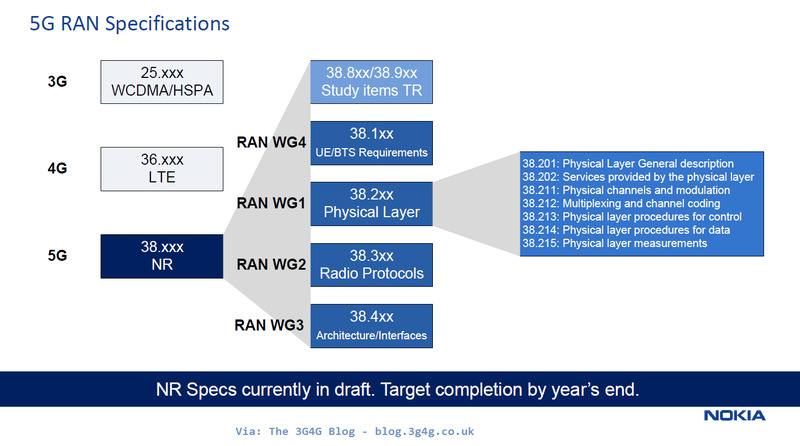 Osman, along with Oumer Teyeb, Senior Researcher at Ericsson Research & member of the Ericsson 5G standardization delegation has also published a blog post LTE-NR tight-interworking on Ericsson Research blog. 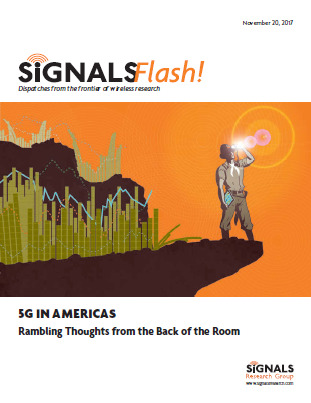 The post talks about how how signalling and data will work in LTE & New Radio (NR) dual connected devices. In control plane it looks at RRC signalling applicable for this DC devices whereas in user plane it looks at direct and split DRB options. Just came across this slide from recent DAS & Small Cells Congress where EE talked about their ESN network development. Found this particular example interesting as they talk about how the commercial user and ESN user would use the same RAN but a different core. This ties nicely with a recent tutorial that I did on Mobile Network Sharing options. If you would like to learn more, see here. It was a pleasure to attend this conference this week. Not only was the topic of interest but I am always impressed by how well EIE organizes their events. Instead of writing my own summary, here is a story created from tweets, 'The Mobile Network' live blog and a summary write-up from Martin Geddes. I have my takeaways below. URLLC is going to be challenging but its achievable. Ultra-reliable (UR) may have different use cases then low latency communication (LLC). 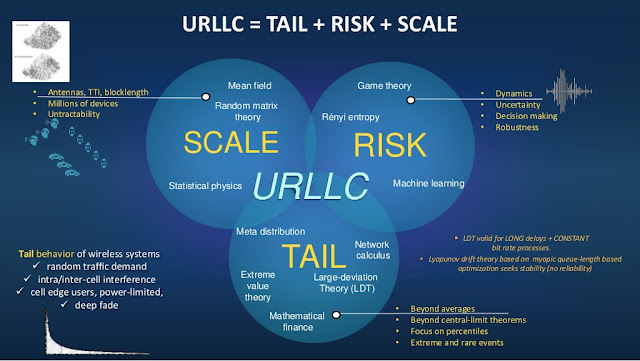 Lumping them together in URLLC is not helpful. Extremely low latency may not be achievable in every scenario. In some cases it would make more sense to continue with existing or proprietary solutions. URLLC may not happen when 5G is rolled out initially but will happen not long after that. 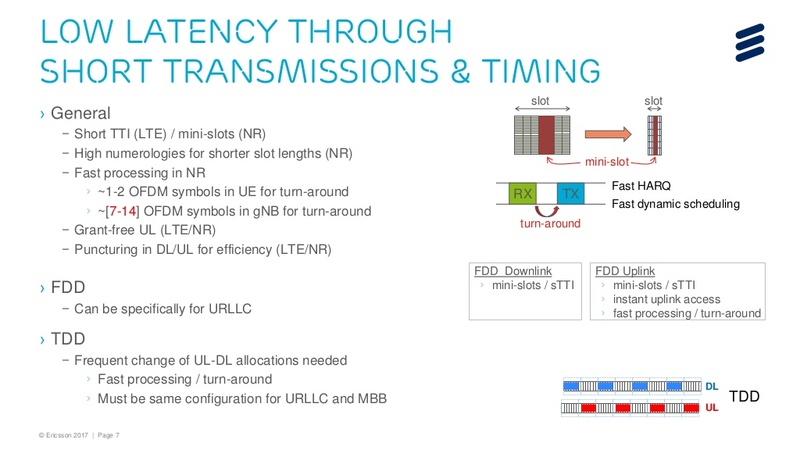 There are many verticals who may be able to take advantage of both the higher data rates that would come as part of eMBB and the low latency and high reliability as part of URLLC. The industry is in a learning phase, figuring things out as they go along. There should be much more clarity next year. 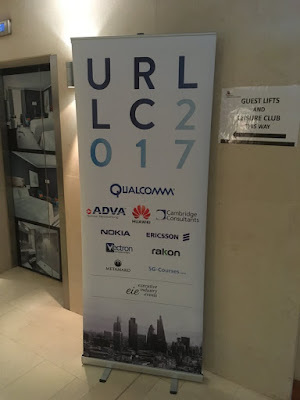 I tried the Facebook Live feature yesterday at the URLLC 2017 conference and recorded a couple of quick interviews with Martin Geddes and Prof. Andy Sutton. Hope you find them useful. Dr.Mehdi Bennis from Centre for Wireless Communications, University of Oulu, Finland recently did a keynote at The International Conference on Wireless Networks and Mobile Communications (WINCOM'17), November 01-04, 2017, Rabat, Morocco. He has shared his presentation with us. Its embedded below and available to download from Slideshare. 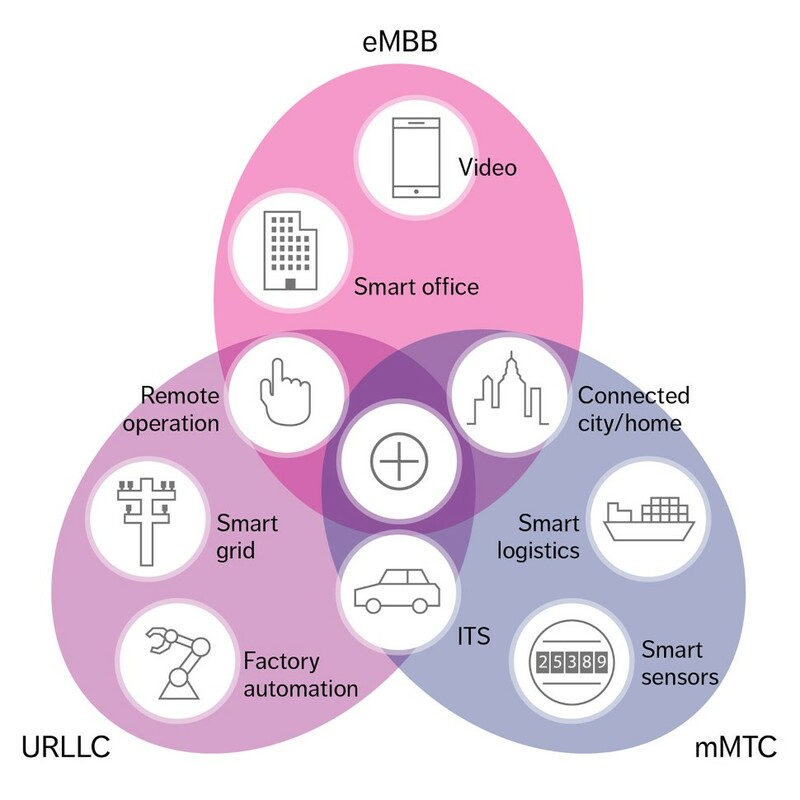 For those who may not be aware, there are 3 main use cases defined for 5G. As shown in the picture above, they are enhanced Mobile BroadBand (eMBB), Ultra-Reliable Low Latency Communications (URLLC) and massive Machine Type Communications (mMTC). You can read the requirements here.